Today I want to look at where attention should be placed during resistance training: is it best to focus on simply lifting the weight or is it better to focus on the contraction of the targeted muscle tissue? A research paper was recently published covering this very topic so we will delve into this paper as well. This term simply refers to what is it that are you focused on or thinking about, whilst you are engaged in an activity. During High Intensity Resistance Training (HIT) you can perform exercises with an external attentional focus or an internal attentional focus. Here your attention is focused on the external outcome of the physical performance. In HIT, this would be the lifting of the weight from A to B: on successfully completing the repetition (rep). For example, if you are using external focus, you are thinking of or visualizing the weight stack or bar moving. For a powerlifter, the goal is simply to lift the greatest load, therefore external focus is more appropriate. Internal focus means thinking of or visualizing the squeezing/contraction and lengthening/stretching of the targeted muscle. As a set progresses you could also focus in on the sensations of fatigue building in the musculature. Whether the rep is completed or not is a secondary concern in comparison to the qualitative “feel” of the reps.
Visualizing the muscle contracting during exercise has been shown to stimulate hypertrophy better than using an external focus. In the research literature, external focus tends to stimulate superior improvements in performance and motor learning when compared to internal focus. This suggests that if your goal is simply to lift more weight (like a competing powerlifter), then an external focus would be preferable. 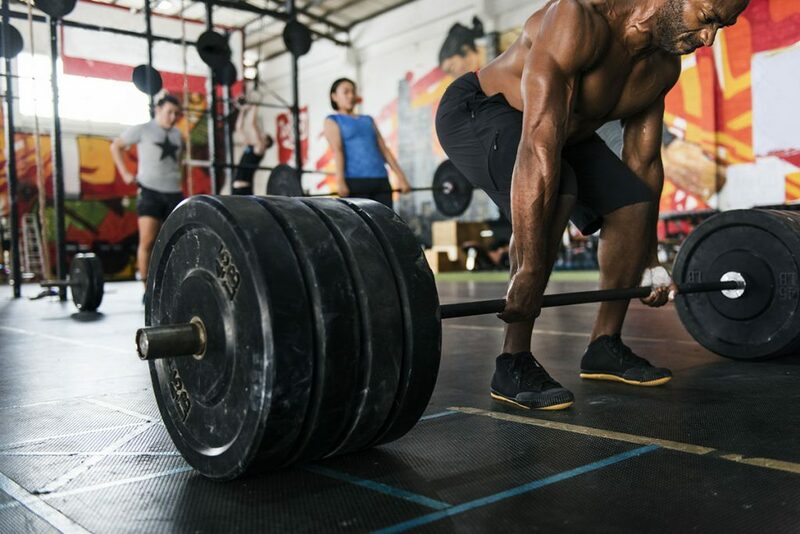 Indeed, anecdotally many bodybuilders have referred to the importance of the “mind-muscle” connection and a focus on feeling the muscle work. Marchant et al.’s paper suggests that internal focus increases muscular activity readings whilst external focus enhances force production. This is in line with the hypothesis that external focus improves performance, whilst internal focus stimulates muscle tissue to a greater degree. It makes sense, focus on the outcome you want most: need to move the bar from A to B, then focus on doing that, need bigger muscles, then focus on them during exercise. As much as Marchant et al.’s research suggests that there may be a better stimulus for hypertrophy with internal focus, until this recent paper from Schoenfeld et al. there had been no research on the topic that measured muscle thickness outcomes. They took 30 male volunteers between the ages of 18-35 years who had not regularly resistance trained within the previous year. The volunteers were divided into two groups of 15, an internal focus group and an external focus group. Both groups then went through 8 weeks of RT performing the standing barbell curl and the machine leg extension. Both groups performed 3 workouts per week on non-consecutive days. The external focus group were verbally encouraged to “get the weight up!” on each rep. Muscle thickness was measured with ultrasound imaging (measured after acute increases should have returned to baseline). Isometric muscle strength during elbow flexion and knee extension via isometric dynamometry. Fat mass, fat-free mass and skeletal muscle mass was measured with bioelectrical impedance. Thickness of the elbow flexors was greater for the internal group, 12.4% vs. 6.9% for the external group. Thickness of the quadriceps was not affected by focus. Isometric elbow flexion strength improved slightly more in the internal group. Isometric knee extension strength improved slightly more in the external group. Taking what we can literally from this research paper: if your primary goal when training elbow flexors is to increase their thickness/ stimulate hypertrophy, then you would be wise to perform exercises for those muscles with an internal focus- squeezing the muscle. Can we extrapolate this advice to other muscle groups? Going on the results presented in this research paper alone the answer would be no, as the same did not hold true for the quadriceps. 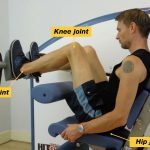 However, and as the researchers themselves point out, it may be harder to make a proper mental connection with the quadriceps, especially for individuals who have not regularly been resistance training. 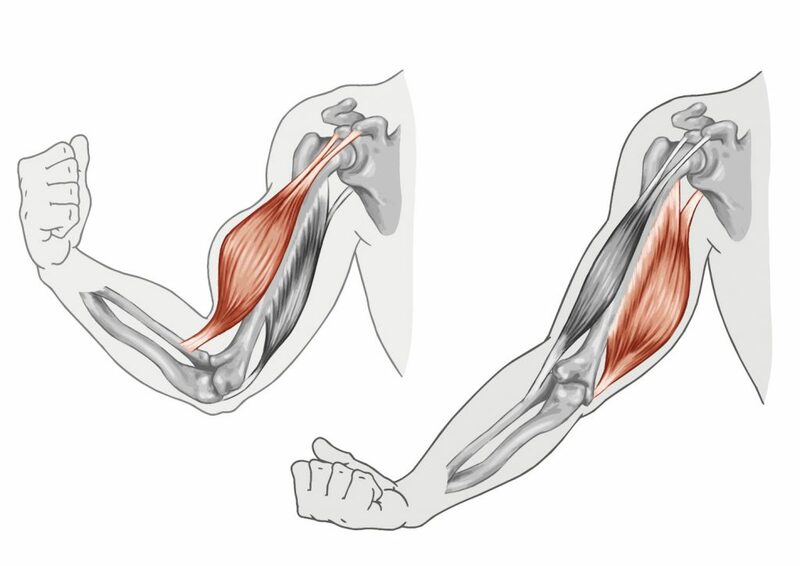 Anecdotally there does seem to be an almost natural or instinctive connection with biceps contraction: mention bodybuilding to a random person and they will probably think of a biceps curl, or of posing with flexed biceps. Conversely laypeople don’t usually think of a knee extension exercise or of showing off their flexed quadriceps. It may well take much more mental practice to establish a high-quality level of internal focus on the quadriceps and possibly for all other muscle groups and muscles. Perhaps then we would see similarly impressive results for internal focus over external focus when the goal is hypertrophy. Although from a scientific perspective this is conjecture, I find focusing on the muscle rather than the load not only provides a deeper muscular stimulus, but it is also a more efficient and safe long-term approach to applying HIT successfully. If your short-term goal is to simply lift more load, like a powerlifter, use an external focus to shift that load. If your long-term goal is to shift more load, you might want to aim to stimulate hypertrophy with an internal focus and to practice the skill of your lifts with an external focus. If your goal is purely to stimulate hypertrophy then using internal focus is likely going to help you achieve better results.